This joint came on my radar when I learned that it was serving a “Chopped Cheese” sandwich. 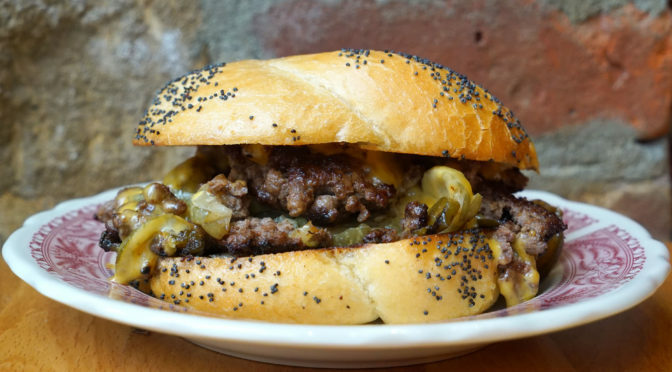 Made popular by Bronx bodega operators, the “Chopped Cheese” sandwich is a cross between a burger, a cheesesteak, and a NY-style breakfast sandwich (minus the egg and bacon – in fact, it is mainly just likened to a NY bacon, egg and cheese sandwich because of the poppy seed sandwich roll). 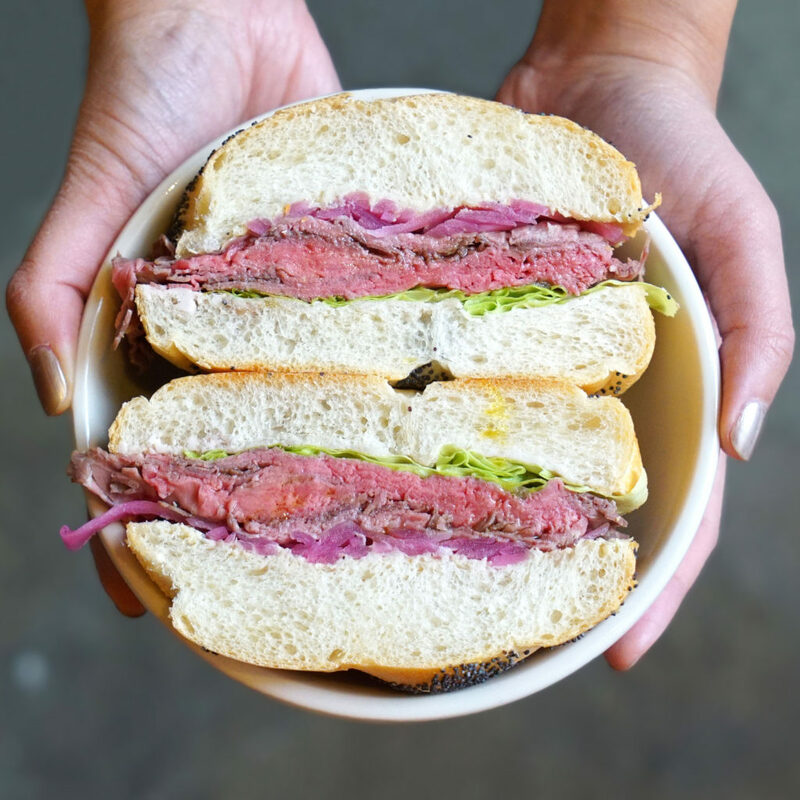 The sandwich has been trending hard among food folk in the last few months, and it’s now making its way to the upper crust. 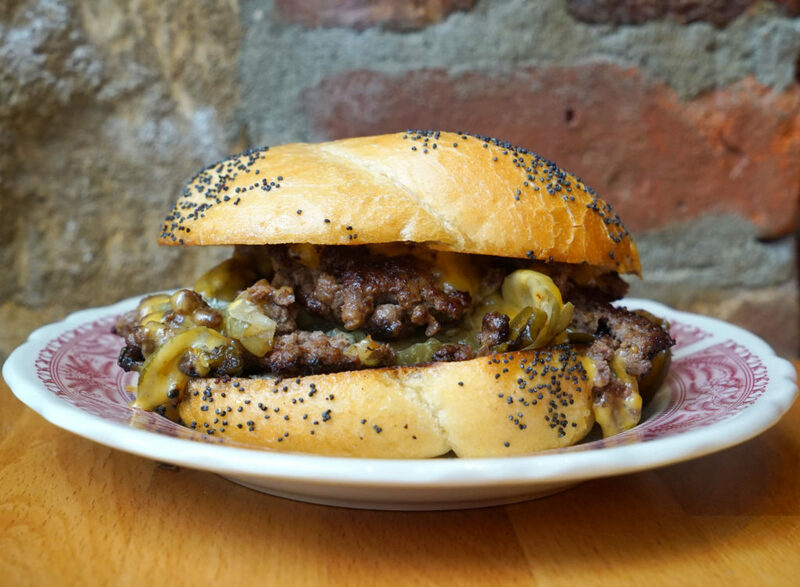 Elite restaurateurs must be rejoicing, silently thanking the griddle kings who collectively invented this sandwich, for which they can now charge $11 to residents of the Upper West Side. Mine was pretty good. There was a great crisp on the meat, which seemed to consist of a mix of chopped meat and thinly sliced steak. There was a ton of cheese, and some really nice pickles and peppers folded in. It was a bit salty, however, and after an hour it will certainly make you want to buy stock in Tums. We also tried the roast beef sandwich for $8. The quality of the beef here was incredible; there just wasn’t enough of it. The sandwich needs double the meat, lettuce and horseradish cream sauce. The bread just kills the ratios. Otherwise this sandwich was excellent, especially with the pop you get from the pickled red onions. 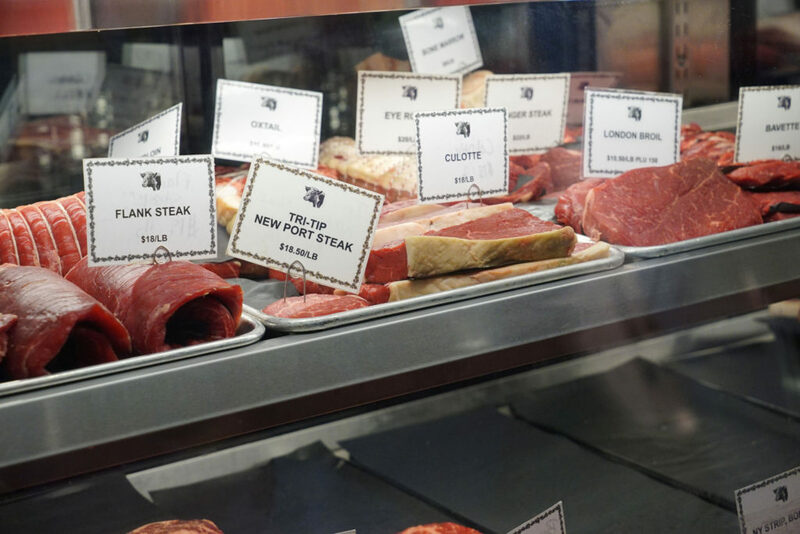 The cool thing about this joint is that it also serves as a butcher shop, where you can buy a variety of nice cuts like culotte and bavette.